Your backyard is a haven for you to relax and enjoy life. 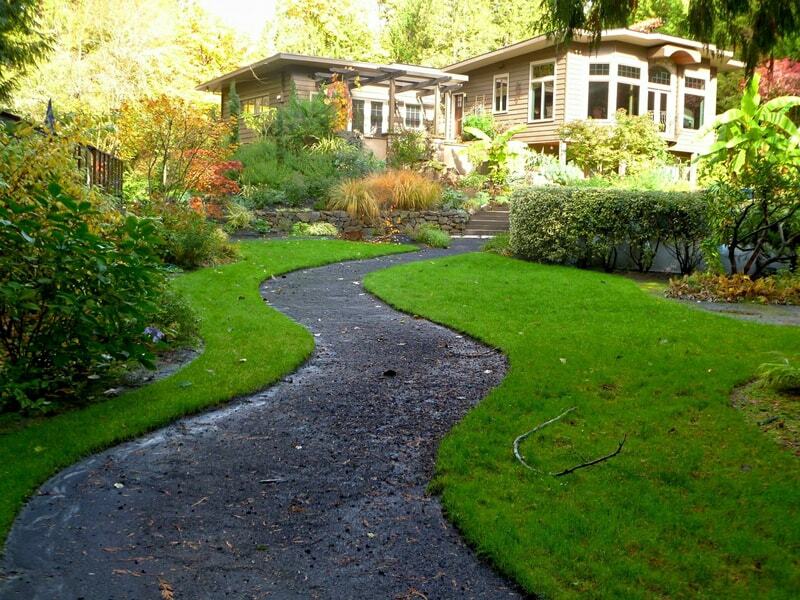 Adding a couple beautiful backyard walkways can make your backyard more special. Make sure you look through the beautiful examples below: I gathered lots of backyard walkway ideas for you. One of the best ways to find the right kind of walkway to fit your style is to actually see some examples, and suddenly you’ll now what you want! 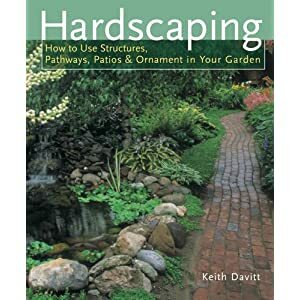 You can find plenty of ideas in the various landscaping publications available. 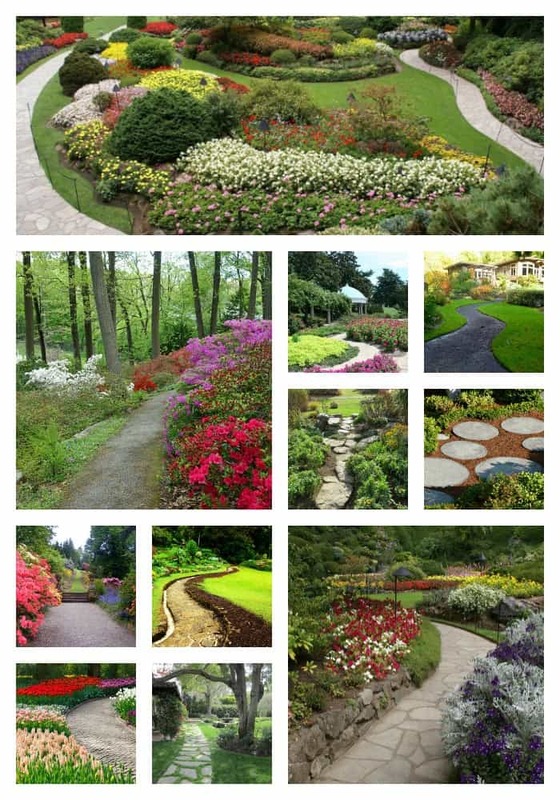 Another way to find the walkway types you love is to browse through real life yards. Take a stroll through back-roads, or in your own neighborhood, or find your friends who have beautiful garden paths and pay them a visit. There are also pictures of walkways online. You’d be surprised at the number of people who post proud pictures of their own backyards on message boards and websites, and of course, there’s Pinterest! This is a great way to get inspired. 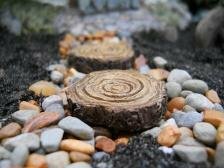 Tree Stump Stepping Stones (Set of 4) Once you know the type of walkways you’d like, you can hire a professional landscaper. Show them pictures of what you want and ask them for their opinion about what your yard and budget can handle. If you’re like me, you’ll probably want to tackle a project like this by yourself or with the help of your family. 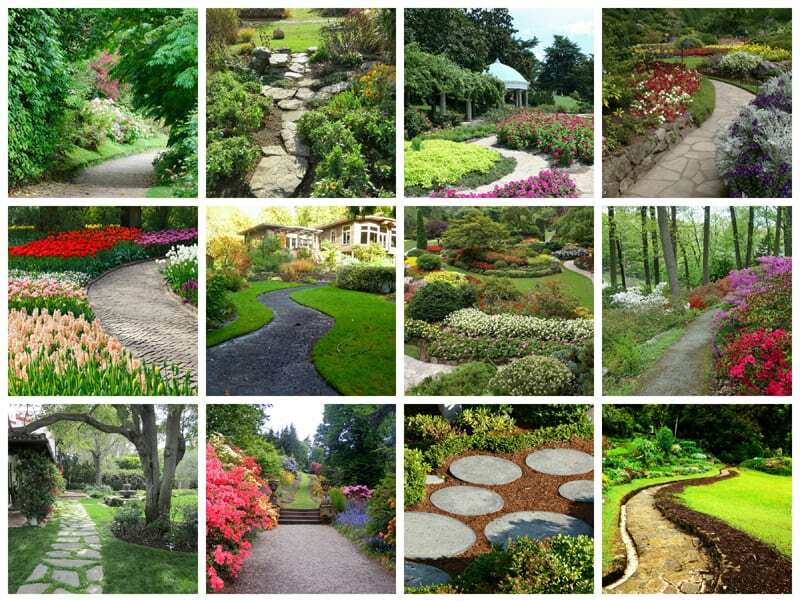 Many people feel a sense of pride in doing their own landscaping. You can also save money this way, but keep in mind that you’ll be trading the expertise. It’s still something you can on your own with the right planning. As with most things you build or put together, you need to come up with a blueprint. Always take exact measurements of the area you have and the walkway you want to put in. This definitely isn’t as complicated as it sounds! You just want to be sure everything will fit properly and look nice. The materials are also an essential part of the planning. 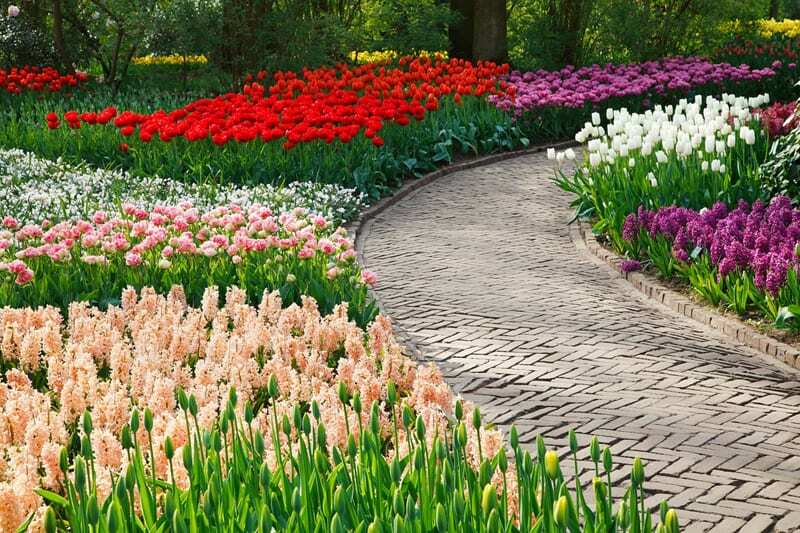 If you’re putting the backyard walkway in yourself, you’ll have to order it all from a garden center or specialty shop. Pay close attention in choosing materials that will stand the test of time. If you’re using a landscaper they may take care of ordering the materials on their end. Beautiful backyard walkways are a must have, and getting inspiration is half the battle. Once you know what you want, you can have your own walkway in the backyard and watch the compliments pour in. 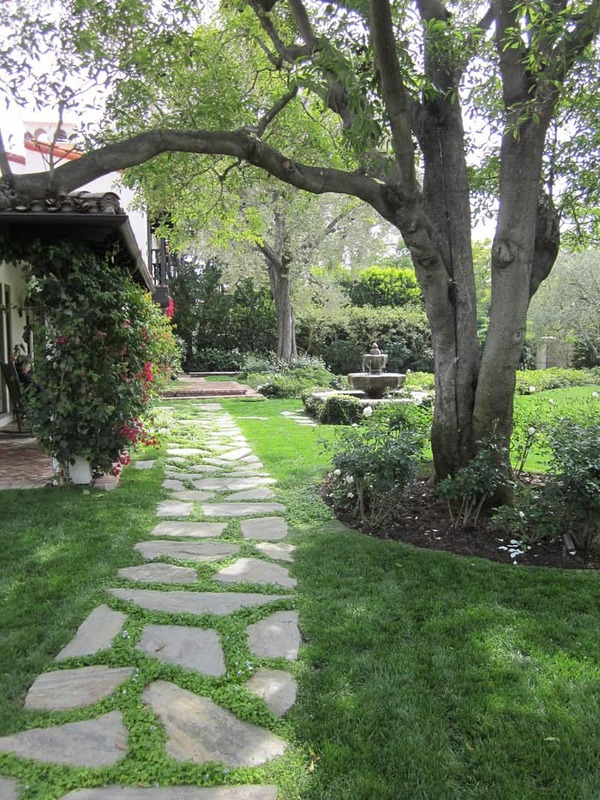 Check out our gorgeous backyard walkway ideas below and get inspired! 1. 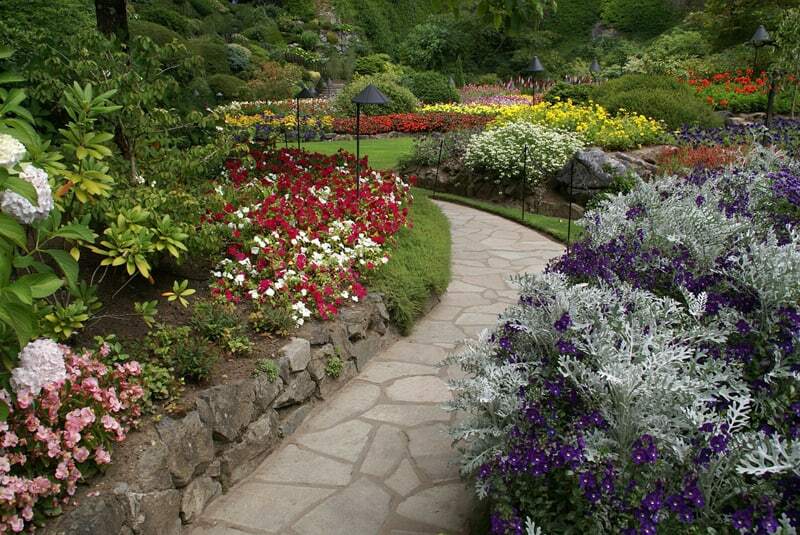 This path from the Butchart Gardens in Victoria, British Columbia uses colored unevenly cut stone to create an interesting design. 2. 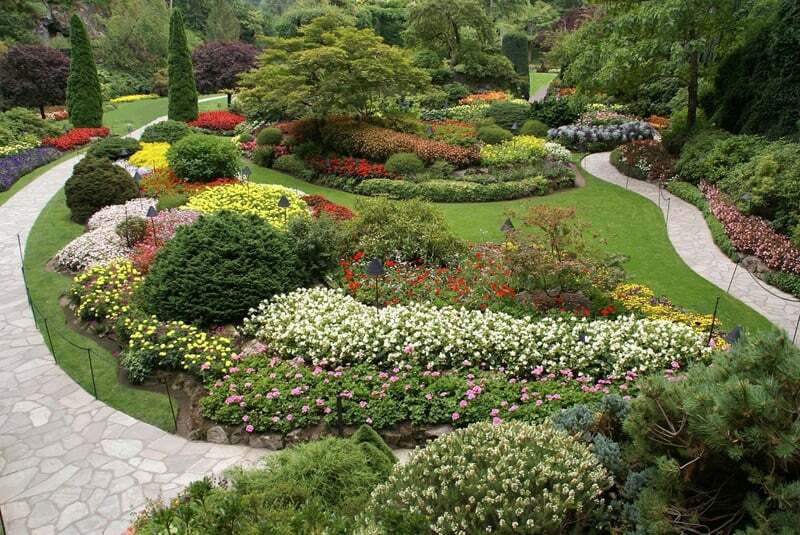 This is another view of the walkway at Butchart Gardens: notice how it nicely winds around beautiful flowers and bushes. 3. 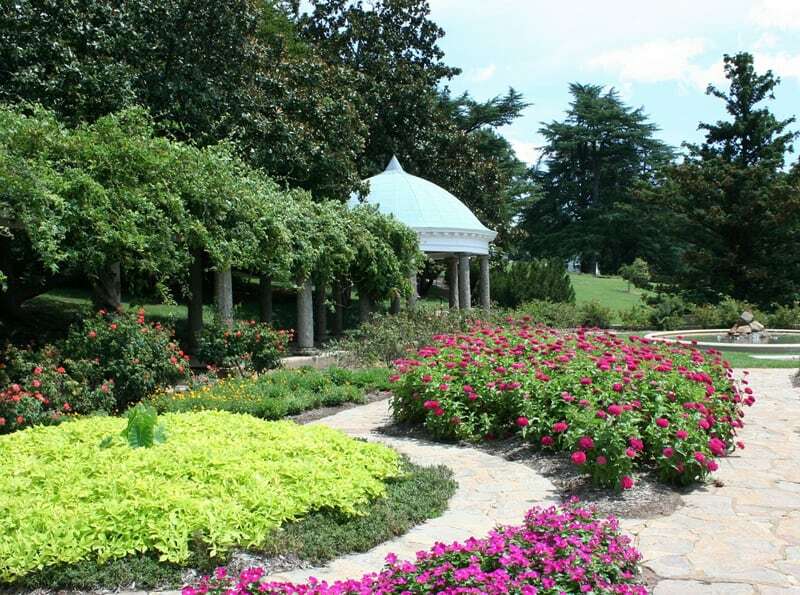 This flagstone garden walkway goes around gorgeous red and pink flowers, as well as fresh green ground covers, creating a peaceful setting. 4. 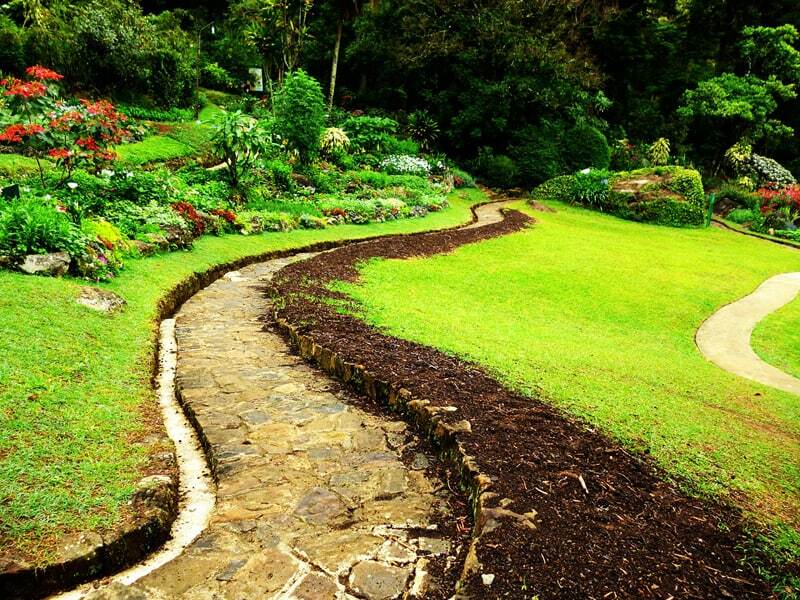 I love how this pathway snakes around the hilly part of this garden. The natural color blends well with the surrounding vegetation. 5. Who says your pathway needs to be complicated? 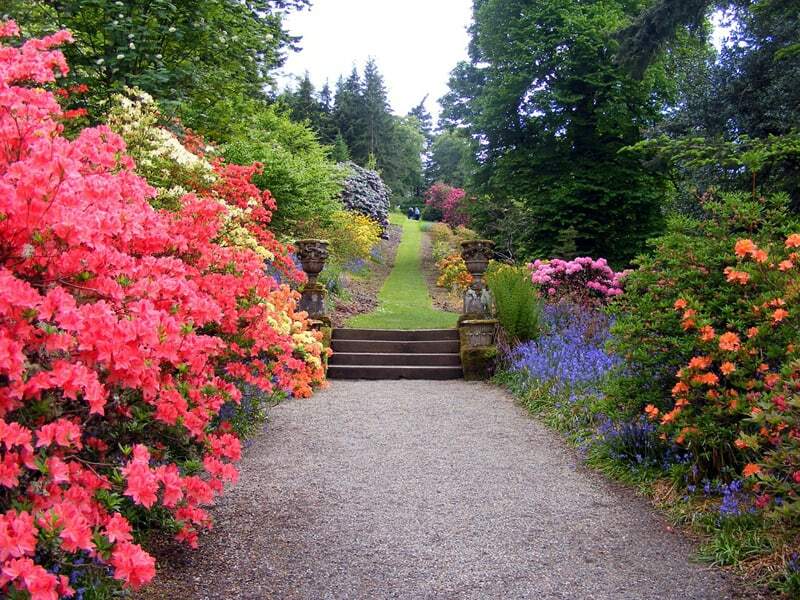 This simple path is made of small gravel and surrounded by stunning azaleas and other brightly colored flowers. 6. Nice simple path to the house, winding its way through lush green landscape. 7. Here’s a beautiful walkway between bushes. 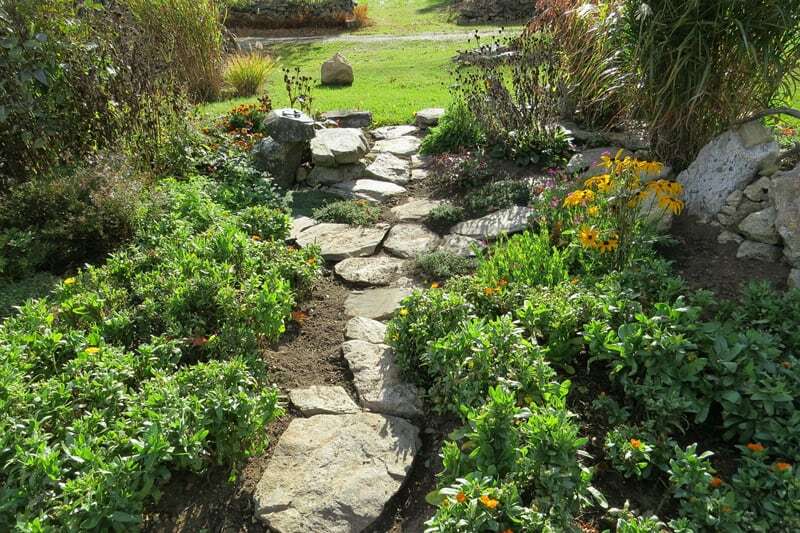 The rocks give this pathway a more rugged look, nice for those who enjoy a wilder look in their garden. 8. 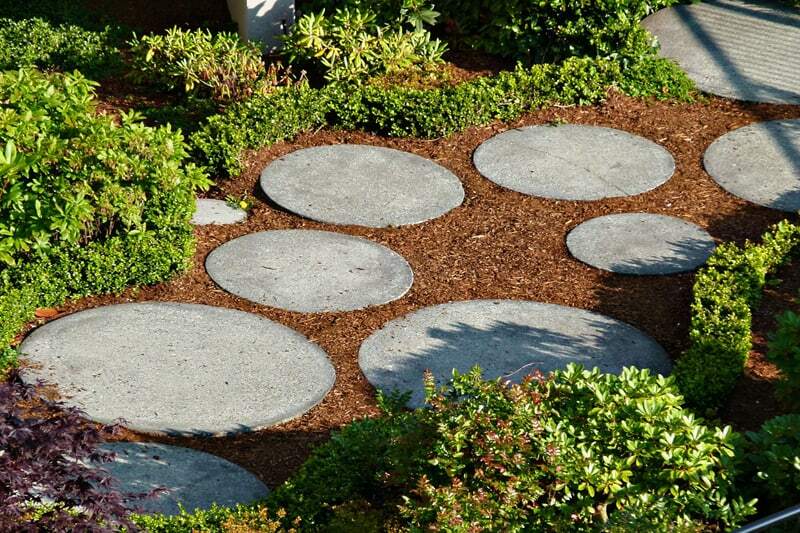 Round shaped, different sized concrete tiles surrounded by mulch, make this a visually appealing walkway. 10. This zig-zagged brick walkway is beautiful and draws in the eye. The nearby flowers are stunning, making this a great path to walk on.